Sarah McLachlan - backup vocals on "Girl In Green", "Brown-Eyed Dog" and "Save Myself"
piano on "Get Through To You"; farfisa on "Train". All songs published by Thunderhawk Music. 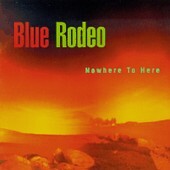 Copyright 1995 Blue Rodeo Productions. All rights reserved. Used with Permission.